The present study compares the impact of endurance- vs resistance-type exercise on subsequent 24 h blood glucose homeostasis in individuals with impaired glucose tolerance (IGT) and type 2 diabetes. Fifteen individuals with IGT, 15 type 2 diabetic patients treated with exogenous insulin (INS), and 15 type 2 diabetic patients treated with oral glucose-lowering medication (OGLM) participated in a randomised crossover experiment. Participants were studied on three occasions for 3 days under strict dietary standardisation, but otherwise free-living conditions. Blood glucose homeostasis was assessed by ambulatory continuous glucose monitoring over the 24 h period following a 45 min session of resistance-type exercise (75% one repetition maximum), endurance-type exercise (50% maximum workload capacity) or no exercise at all. Average 24 h blood glucose concentrations were reduced from 7.4 ± 0.2, 9.6 ± 0.5 and 9.2 ± 0.7 mmol/l during the control experiment to 6.9 ± 0.2, 8.6 ± 0.4 and 8.1 ± 0.5 mmol/l (resistance-type exercise) and 6.8 ± 0.2, 8.6 ± 0.5 and 8.5 ± 0.5 mmol/l (endurance-type exercise) over the 24 h period following a single bout of exercise in the IGT, OGLM and INS groups, respectively (p < 0.001 for both treatments). The prevalence of hyperglycaemia (blood glucose >10 mmol/l) was reduced by 35 ± 7 and 33 ± 11% over the 24 h period following a single session of resistance- and endurance-type exercise, respectively (p < 0.001 for both treatments). A single session of resistance- or endurance-type exercise substantially reduces the prevalence of hyperglycaemia during the subsequent 24 h period in individuals with IGT, and in insulin-treated and non-insulin-treated type 2 diabetic patients. Both resistance- and endurance-type exercise can be integrated in exercise intervention programmes designed to improve glycaemic control. The Netherlands Organization for Health Research and Development (ZonMw, the Netherlands). Over the last 15 years, postprandial hyperglycaemia has been increasingly recognised as a strong and independent risk factor for the development of cardiovascular complications in type 2 diabetic patients . Nevertheless, postprandial hyperglycaemia is highly prevalent throughout the day in type 2 diabetic patients, even in patients with apparently good glycaemic control according to their HbA1c levels [2, 3]. Therefore, more effective treatment strategies should be defined to reduce the prevalence of postprandial hyperglycaemia. Structured exercise programmes have been shown to improve long-term glycaemic control (i.e. HbA1c) in type 2 diabetic patients [4, 5]. The glucoregulatory effects of exercise result from an increased insulin sensitivity, which has been shown to persist for up to 48 h following a single bout of exercise [6, 7, 8]. In accordance, we have recently shown that a single bout of exercise can strongly reduce the prevalence of hyperglycaemia throughout the day . Consequently, the benefits of exercise on long-term glycaemic control can be largely ascribed to the cumulative glucoregulatory effects of each successive bout of exercise [6, 7]. To optimise the impact of exercise as an effective strategy to improve glycaemic control, more information is needed on the impact of the various exercise modalities (e.g. type, intensity, duration, frequency and timing of exercise) on daily blood glucose homeostasis. From a historical perspective, endurance exercise has always been the type of exercise implemented in diabetes intervention programmes. This is attributable to the successful application of endurance-type exercise training as a means to reduce fat mass and improve weight maintenance [10, 11]. However, endurance-type exercise is not always the most applicable type of exercise as many type 2 diabetic patients suffer from muscle weakness, cardiovascular comorbidities, polyneuropathy and reduced exercise tolerance [12, 13, 14], which generally lower the feasibility of strict endurance-type exercise programmes. Furthermore, the loss of skeletal muscle mass, strength and function in the ageing diabetes population forms a major therapeutic target that requires the implementation of resistance-type exercise [12, 14, 15]. This has resulted in the inclusion of a statement in the current ADA/American College of Sports Medicine (ACSM) exercise guidelines for type 2 diabetic patients that ‘in addition to aerobic training, persons with type 2 diabetes should undertake moderate to vigorous resistance training at least 2–3 days per week’ . However, this 2010 joint position statement also recognises that the impact of a single bout of resistance-type exercise on glycaemic control in type 2 diabetic patients remains to be established. As it is presently unclear whether resistance-type exercise can also modulate glycaemic control throughout the subsequent day, healthcare professionals have been rather restrictive in the implementation of resistance-type exercise in diabetes intervention programmes. To provide support for the current recommendations concerning optimal exercise prescription in type 2 diabetes treatment, this study investigates the impact of both resistance- and endurance-type exercise on daily blood glucose homeostasis. Therefore, we assessed 24 h glycaemic control following a single bout of resistance- as well as endurance-type exercise in individuals with impaired glucose tolerance (IGT), type 2 diabetic patients treated with oral blood-glucose-lowering medication (OGLM), and type 2 diabetic patients treated with exogenous insulin (INS). Fifteen men with IGT and 30 men with type 2 diabetes were recruited to participate. All patients with type 2 diabetes had been treated with stable OGLM only (n = 15) or insulin (n = 15) for at least 3 months before being recruited. Exclusion criteria were renal failure, liver disease, morbid obesity (BMI >40 kg/m2), hypertension (>160 mmHg systolic and/or >100 mmHg diastolic), and a history of severe cardiovascular problems (myocardial infarction in the last year or stroke). All volunteers were informed about the nature and the risks of the experimental procedures before their written informed consent was obtained. The Medical Ethical Committee of the Maastricht University Medical Centre+ approved all clinical experiments. All participants, except for the INS group, underwent an OGTT. In the OGLM group, blood-glucose-lowering medication was withheld 2 days prior to the OGTT. After an overnight fast, participants arrived at the laboratory at 08:00 hours by car or public transportation. A fasting blood sample was obtained, after which an OGTT was performed to determine IGT or type 2 diabetes according to ADA criteria . Maximum strength (one repetition maximum [1RM]) was determined for the leg press and leg extension as described previously . Participants performed an incremental cycling test to determine their maximum workload capacity (W max). After a 2.5 min warm-up at 0.75 W/kg body weight, workload was increased with 0.25 W/kg body weight every 2 min until exhaustion. Cardiac function was monitored using a 12 lead electrocardiogram. During the screening, venous blood samples (10 ml) were collected in EDTA-containing tubes and centrifuged at 1,000 g and 4°C for 10 min. Aliquots of plasma were immediately frozen in liquid nitrogen and stored at −80°C until analyses. Glucose concentrations (Roche, Basel, Switzerland), NEFA concentrations (Wako Chemicals, Neuss, Germany), triacylglycerol concentrations (ABX Diagnostics, Montpellier, France) and total cholesterol concentrations (ABX Diagnostics) were determined enzymatically with the COBAS FARA semi-automatic analyzer (Roche). Plasma insulin concentrations were determined by radioimmunoassay (HI-14K, Linco Research, St Charles, MI, USA). HbA1c content was determined in 3 ml venous blood samples by high-performance liquid chromatography (Bio-Rad Diamat, Munich, Germany). Venous plasma glucose and insulin concentrations obtained during the OGTT were used to assess insulin sensitivity with the oral glucose insulin sensitivity (OGIS) index . All participants participated in a randomised crossover experiment, consisting of three intervention periods separated by at least 4 days. Each intervention period consisted of 3 days during which the impact of a single session of exercise on subsequent 24 h blood glucose homeostasis was assessed under standardised dietary, but otherwise free living, conditions (Fig. 1). Periods were identical with the exception of the type of exercise that was performed (no exercise, resistance- or endurance-type exercise). On day 1 of each intervention period, participants arrived at the laboratory in the afternoon and received a short training in the use of the capillary blood sampling method (Glucocard X Meter, Arkray, Kyoto, Japan). Subsequently, a continuous glucose monitoring device (GlucoDay S; A. Menarini Diagnostics, Florence, Italy) was attached, after which participants returned home. On day 2, participants arrived at the laboratory at 08:30 hours for breakfast. After a resting period, the exercise or control intervention was performed from 11:00 to 11.45 hours. After lunch at 12:30 hours, participants were free to go home and resume their normal daily activities. On day 3, participants arrived at the laboratory in the afternoon for removal of the continuous-glucose-monitoring device. The endurance-type exercise session consisted of 45 min of continuous cycling, performed on a cycle ergometer (Lode Excalibur, Groningen, the Netherlands). Based on earlier work , continuous cycling was performed at a moderate workload intensity (50% W max). The 45 min resistance-type exercise session started with two upper-body resistance exercise machines (lateral pull down and chest press). A warming-up set was performed at a workload of 20% bodyweight, followed by three sets of ten repetitions at 40% bodyweight. Thereafter, the resistance exercise session targeted the legs (i.e. leg press, leg extension). Based on earlier reports [17, 19], five sets of ten repetitions were performed at 55%, 65%, 75%, 75% and 75% of the participants’ individual 1RM, respectively. A resting period of approximately 2 min was allowed between sets. During the control (no exercise) experiment participants were seated for 45 min in a chair next to the cycle ergometer. All participants were asked to maintain habitual physical activity patterns throughout the experimental period, but to refrain from exhaustive physical labour and exercise training for 2 days prior to and during the intervention period. During the intervention period, habitual physical activity was assessed using a validated triaxial accelerometer (Philips DirectLife, Eindhoven, the Netherlands) , worn in a belt around the waist. Accelerometer data obtained during the 24 h period following exercise were used to calculate physical activity level (PAL) applying the equation by Bonomi et al. .
During each intervention period, participants were provided with a healthy standardised diet, composed according to the ADA dietary recommendations for type 2 diabetes . The diet consisted of three meals and three snacks per day, distributed in pre-weighed packages and ingested at pre-determined time-points to ensure a fully standardised diet during the ∼48 h test periods. The diet provided 10.4 ± 0.1 MJ/day consisting of 57% of energy from carbohydrate, 13% of energy from protein and 30% of energy from fat. The diet was designed to meet the energy requirements as calculated with the Harris–Benedict equation (1918) multiplied by a PAL of 1.4. Patients’ blood-glucose-lowering medications are shown in Table 1. Treatment with OGLM and/or insulin was continued as normal throughout the entire experimental period. Insulin-treated diabetic patients were explicitly asked not to deviate from their habitual insulin treatment schemes when exercise was performed. None of the volunteers in the IGT group was using any medication known to interfere with glucose metabolism. The acquired data from the continuous glucose monitor were downloaded to a personal computer with GlucoDay software (V3.2.2). Values reported by the continuous-glucose-monitoring device were converted into glucose values using the self-monitored capillary blood glucose values. The glycaemic profiles during the 24 h period following exercise (from 12:00 to 12:00 hours) were used to determine average glucose concentrations, the prevalence of hyperglycaemia (glucose concentrations >10 mmol/l), and the prevalence of hypoglycaemia (glucose concentrations <3.9 mmol/l). In addition, these variables were also calculated over four different periods within the 24 h time frame: the afternoon (12:00–18:00 hours), evening (18:00–00:00 hours), nocturnal (00:00–06:00 hours) and morning (06:00–12:00 hours) periods. Intervention effects were assessed by one-way repeated measures ANOVA, with intervention, group and intervention × group as within-subject factor, between-subject factor and interaction, respectively. When applicable, pairwise comparisons with Bonferroni correction were applied to locate differences between interventions, and Scheffé’s post hoc test was applied to locate differences between groups. Statistical comparisons were considered significant when p values were <0.05. All statistical calculations were performed using the SPSS 15.0.1.1 software package. Unless otherwise specified, reported results represent means ± SEM. Participants’ characteristics are shown in Table 1. Groups were comparable with respect to age and BMI. Type 2 diabetic patients in the OGLM group had been diagnosed with diabetes for 6.5 ± 1.0 years, whereas patients in the INS group had been diagnosed for 13.5 ± 2.2 years (p < 0.05) and had been treated with insulin for 5.1 ± 1.2 years. HbA1c content was similar in the OGLM and INS groups (7.5 ± 0.2 and 7.6 ± 0.3%, respectively), but lower in the IGT group (6.1 ± 0.1%; p < 0.05). Fasting plasma glucose concentrations were similar in the OGLM and INS groups (9.8 ± 0.6 and 8.4 ± 0.6 mmol/l, respectively), but lower in the IGT group (6.3 ± 0.2 mmol/l; p < 0.05). Fasting plasma insulin concentrations tended to be higher in the IGT group (174 ± 24 pmol/l) when compared with the OGLM group (114 ± 17 pmol/l; p = 0.053), and 2 h post-challenge plasma insulin concentrations were threefold higher in the IGT group (893 ± 179 pmol/l) compared with the OGLM group (278 ± 55 pmol/l; p < 0.05). No significant differences were observed in the OGIS index between the IGT and OGLM groups (289 ± 18 and 296 ± 17 ml min−1 m−2, respectively; p = 0.756). Furthermore, no differences in exercise performance (1RM and W max) were observed when comparing the subpopulations included. All 45 participants successfully completed each of the three experimental treatments (resistance-type exercise, endurance-type exercise and no exercise). Participants were compliant with respect to their medication and standardised diet, as verified by dietary records. Both dosing and timing of blood-glucose-lowering medication were identical during the three experimental periods, since these factors were registered during the first experimental period and replicated during second and third period. During the experimental periods, insulin-treated type 2 diabetic patients were using 0.66 ± 0.07 U insulin (kg body weight)−1 day−1. Overall, habitual PALs over the 24 h following a single session of both resistance- and endurance-type exercise (PAL 1.69 ± 0.13 and 1.69 ± 0.12) did not differ from the control experiment (1.69 ± 0.13; p = 0.989). No differences in PAL were observed between groups (between-group effect p = 0.389). During the control experiment, average 24 h blood glucose concentrations were 7.4 ± 0.2, 9.6 ± 0.5 and 9.2 ± 0.7 mmol/l in the IGT, OGLM and INS groups, respectively (Fig. 2a). Over the 24 h following a single bout of resistance-type exercise, average blood glucose concentrations were lowered to 6.9 ± 0.2, 8.6 ± 0.4 and 8.1 ± 0.5 mmol/l in the IGT, OGLM and INS groups, respectively (p < 0.001). Comparable effects were observed over the 24 h following endurance-type exercise, with average 24 h blood glucose concentrations being lowered to 6.8 ± 0.2, 8.6 ± 0.5 and 8.5 ± 0.5 mmol/l, respectively (p < 0.001). No differences were observed between the blood-glucose-lowering properties of resistance- and endurance-type exercise (p = 1.00). There was no exercise × group interaction (p = 0.473), indicating a similar effectiveness of both types of exercise in all subgroups. Independent of exercise treatments, a between-group effect was observed for average 24 h blood glucose concentrations (p = 0.016), indicating lower glucose concentrations in the IGT group when compared with both diabetic groups (Fig. 2a). Despite the continued use of glucose-lowering medication and consumption of a healthy diet, participants experienced excessive hyperglycaemia throughout a considerable part of the day. In fact, hyperglycaemia was prevalent for as much as 2:11 ± 0:37, 9:01 ± 1:39 and 8:16 ± 1:44 h:min (over 24 h) in the IGT, OGLM and INS groups, respectively. Over the 24 h following a single session of resistance-type exercise, the prevalence of hyperglycaemia was reduced to 1:13 ± 0:20, 6:32 ± 1:21 and 5:16 ± 1:27 h:min in the IGT, OGLM and INS groups, respectively. In a similar fashion, the prevalence of hyperglycaemia was decreased over the 24 h period following endurance-type exercise to 1:19 ± 0:33, 6:53 ± 1:46 and 5:21 ± 1:37 h:min in the IGT, OGLM and INS groups, respectively (Fig. 2b). As such, the prevalence of hyperglycaemia was reduced by 35 ± 7% and 33 ± 11% over the 24 h following a single session of resistance- and endurance-type exercise, respectively (p < 0.001 for both exercise treatments). No differences were observed between the effects of both types of exercise on hyperglycaemia (p = 1.00). The effects of resistance- and endurance-type exercise on hyperglycaemia were similar in the subpopulations studied (exercise × group interaction p = 0.169). Independent of exercise treatment, a between-group effect was observed (p = 0.005), indicating a shorter duration of hyperglycaemic episodes in the IGT group when compared with both diabetic groups (Fig. 2b). During the control experiment, the average duration of hypoglycaemia was 0:13 ± 0:05, 0:08 ± 0:05, and 0:39 ± 0:22 h:min per day in the IGT, OGLM and INS groups, respectively. The prevalence of hypoglycaemia was comparable over the 24 h following resistance-type exercise (0:09 ± 0:05, 0:12 ± 0:10 and 0:30 ± 0:13 h:min) and endurance-type exercise (0:19 ± 0:08, 0:24 ± 0:13 and 0:35 h:min) in the IGT, OGLM and INS groups, respectively. As such, the prevalence of hypoglycaemia was not affected by exercise (main effect p = 0.602). The effects of resistance- and endurance-type exercise on hypoglycaemia did not differ between the studied subpopulations (exercise × group interaction p = 0.926). Independent of exercise treatment, the prevalence of hypoglycaemia tended to be higher in the INS group when compared with the IGT and OGLM groups (between-group effect p = 0.062). Detailed data on the glucose-lowering effects of exercise calculated over different time periods within the 24 h period are provided in Table 2. Endurance-type exercise induced strong glucoregulatory effects over the first 6 h following exercise, as both average glucose levels and the prevalence of hyperglycaemia were lower during this time period when compared with the control experiment (Table 2). These glucoregulatory effects of a single bout of endurance-type exercise were also observed over the subsequent evening period (6–12 h later), and the following morning period (18–24 h later; Table 2). Over the subsequent afternoon and evening following a single bout of resistance-type exercise, the prevalence of hyperglycaemia tended to be lower when compared with the control experiment, but these observations did not reach statistical significance (p < 0.08). Interestingly, in the resistance-type exercise experiment, average glucose concentrations and the prevalence of hyperglycaemia were significantly reduced during the subsequent nocturnal and morning periods (12–18 h later and 18–24 h later, respectively) following exercise (Table 2). Although none of the participants reported symptomatic hypoglycaemia during or directly after exercise, endurance-type exercise induced a slight increase in the prevalence of hypoglycaemia (blood glucose concentration <3.9 mmol/l) during this time period (11:00–12:30 hours; Table 2). The present study shows that hyperglycaemia is highly prevalent throughout the day in individuals with IGT, and insulin-treated and non-insulin-treated type 2 diabetic patients. A single session of endurance- or resistance-type exercise can substantially lower the prevalence of hyperglycaemia throughout the subsequent day. In agreement with previous results [2, 3], we show that postprandial hyperglycaemia (defined as glucose levels >10 mmol/l) remains an underestimated problem in type 2 diabetes. Despite the continued use of blood-glucose-lowering medication and the provision of a healthy, well-balanced diet, the insulin- and non-insulin-treated type 2 diabetic patients were in a hyperglycaemic state for 34 ± 7% and 38 ± 7% of the 24 h assessment period (Fig. 2). In addition, this study is the first to assess glycaemic profiles in prediabetic individuals with IGT. With hyperglycaemia being present for 9 ± 3% of the day, the IGT individuals experienced substantially less hyperglycaemia throughout the day when compared with the diabetic patients consuming the same standardised diet (Fig. 2). Nonetheless, 9 ± 3% of hyperglycaemia is still threefold higher than the hyperglycaemic episodes that were previously recorded in overweight, normoglycaemic men using a comparable standardised diet [3, 22]. Evidently, there is need for effective treatment strategies in both prediabetic individuals, type 2 diabetic patients using OGLMs, and long-standing insulin-treated type 2 diabetic patients to reduce the prevalence of hyperglycaemia, and thereby improve daily glycaemic control. The effects of long-term exercise training on glycaemic control (i.e. HbA1c) have been well established , and can be largely ascribed to an improved insulin sensitivity. Nevertheless, the effects of exercise training on insulin sensitivity may be lost entirely 6–14 days after cessation of training . Therefore, improvements in glycaemic control following exercise training can be largely attributed to the cumulative effects of transient improvements in glucose tolerance following each successive bout of exercise, rather than to the structural adaptive response to prolonged exercise training [6, 7, 24]. As a consequence, information on the acute glucoregulatory effects of exercise can be used to optimise the application of exercise as an effective strategy to improve glycaemic control in type 2 diabetic patients. We have recently shown that a single bout of continuous endurance-type exercise strongly reduces the prevalence of hyperglycaemia and lowers blood glucose concentrations throughout the subsequent 24 h in type 2 diabetic patients . However, as recognised by the current ADA/ACSM position statement , the acute effects of resistance-type exercise on glycaemic control are less evident. Although single bouts of endurance- [25, 26] and resistance-type exercise [17, 27] have been reported to improve insulin sensitivity for at least 24 h, no studies have directly assessed the impact of resistance-type exercise on subsequent glycaemic control. In the present study, continuous glucose monitoring was applied under standardised dietary, but otherwise free living, conditions to assess the effects of both resistance- and endurance-type exercise on glycaemic control throughout the subsequent day. A single bout of resistance-type exercise reduced the prevalence of hyperglycaemia by as much as 35 ± 7% during the 24 h post-exercise period when compared with the control (no exercise) experiment. A similar 33 ± 11% reduction in the prevalence of hyperglycaemia was observed following a corresponding 45 min bout of endurance-type exercise (Fig. 2). Previously, the benefits of resistance-type exercise training on glycaemic control have often been ascribed to an increase in muscle mass over time and concomitant expansion of glucose disposal capacity . However, the present study clearly shows that a single bout of resistance-type exercise improves glycaemic control for up to 24 h following exercise, without changes in muscle mass. These acute improvements in glycaemic control following resistance-type exercise might be explained by direct improvements in insulin-dependent [17, 28] and insulin-independent  glucose uptake, similar to the effects generally observed following endurance-type exercise [6, 30]. Furthermore, as medication was kept stable, diets were standardised, and habitual physical activity was monitored, the effects of both types of exercise occurred independent from changes in medication, diet and habitual physical activity. It should be noted, however, that the observed effects of both types of exercise are only valid for the exercise intensities applied in the present study. The moderate-to-high intensity workload applied in both exercise treatments was perceived as strenuous but feasible for all participants. Although endurance-type exercise has been reported to be also effective at lower intensities , the acute glucoregulatory effects of resistance-type exercise at lower exercise intensities remain to be established. In the present study, we assessed the impact of both resistance- and endurance-type exercise on subsequent glycaemic control in three diabetic subpopulations: prediabetic IGT individuals; type 2 diabetic patients treated with OGLM; and long-standing type 2 diabetic patients using insulin treatment. Overall, exercise lowered average 24 h blood glucose concentrations by ∼0.8 mmol/l, while the prevalence of hyperglycaemia was reduced by ∼34%. Both resistance- and endurance-type exercise effectively reduced the prevalence of hyperglycaemia and, as such, improved glycaemic control in all type 2 diabetic subpopulations. Interestingly, the blood-glucose-lowering effects of exercise in the type 2 diabetic patients were observed on top of pharmacological treatment. In the IGT individuals, exercise reduced the prevalence of hyperglycaemia, approaching a level previously observed in normally glucose tolerant individuals . Whether the high prevalence of hyperglycaemia as previously reported in type 1 diabetic patients  can also be effectively reduced by both resistance- and endurance-type exercise remains to be established. 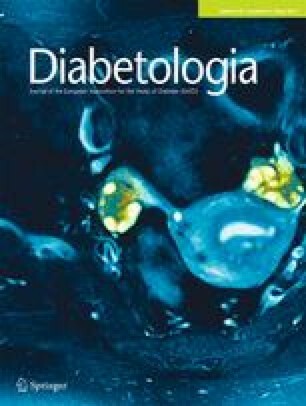 In addition to hyperglycaemia, we also assessed the prevalence of hypoglycaemia in the diabetic subpopulations. Hypoglycaemia is less frequently experienced by type 2 diabetic patients when compared with type 1 diabetic patients . However, patients with advanced type 2 diabetes are also at an increased risk of hypoglycaemic episodes . In agreement, the overall prevalence of hypoglycaemia (defined as blood glucose concentrations <3.9 mmol/l) in the present study tended to be higher in the long-standing insulin-treated type 2 diabetic patients when compared with the IGT and OGLM groups (between-group effect p = 0.062), but the prevalence was still of minor relevance (between 30 and 40 min per day). Though exercise can cause temporary hypoglycaemia , we failed to observe any impact of resistance- or endurance-type exercise on the daily prevalence of hypoglycaemia (main effect p = 0.602). This is not surprising, as we ensured that exercise was performed in the postprandial state, with meals and snacks being provided at regular intervals throughout the day. Such a balanced interplay between exercise and nutrition is generally effective for preventing exercise-induced hypoglycaemia. In conclusion, a single session of resistance- or endurance-type exercise substantially reduces the prevalence of hyperglycaemia and improves glycaemic control during the subsequent 24 h period in individuals with IGT, and in insulin-treated and non-insulin-treated type 2 diabetic patients. Given the equal impact of both types of exercise on daily glycaemic control, endurance-type exercise sessions can be exchanged for resistance-type exercise sessions without abating the positive impact of exercise on glycaemic control. Consequently, a more personalised exercise prescription, tailored to the needs and capabilities of the individual type 2 diabetic patient, is feasible. The described work was supported by a grant from the Netherlands Organization for Health Research and Development (ZonMw, the Netherlands). None of the authors had any personal and/or financial conflict of interest with regard to this study. JWvD designed the study, collected and analysed data, and drafted the manuscript. RJFM designed the study and edited the manuscript. KT and AGB collected the data and edited the manuscript. CDAS and FH edited the manuscript. LJCvL designed the study, analysed data and drafted the manuscript. All authors were involved in the interpretation of data and contributed to the manuscript for important intellectual content. All authors approved the final version to be published.